Twitter has announced it’s permanently suspended the accounts of conspiracy theory website Infowars and its controversial founder, Alex Jones. In addition, Twitter has banned Jones and Infowars from its livestreaming service, Periscope, where Jones regularly broadcast and boasted a large following. Speaking to The Daily Beast, a Twitter spokesperson attributed the ban on to a heated confrontation with CNN reporter Oliver Darcy, which was broadcast on Periscope. Jones is quoted as saying Darcy had “the eyes of a rat,” and accused CNN of wishing to police the Internet. Twitter is perhaps the last major tech platform to permanently ban Jones. It follows several other companies — including Apple, Spotify, YouTube, and Facebook — severing ties with the conspiracy theorist, citing hate speech. 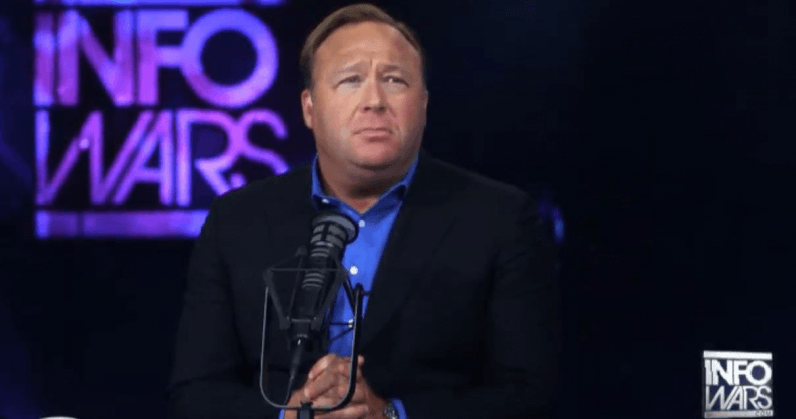 Jones has claimed the 2012 Sandy Hook massacre was a hoax, and the 2018 Stoneman Douglas High School shooting was a “false flag” operation. He has argued that the September 11 terrorist attacks were a government conspiracy, and has even claimed that vaccines are dangerous. Twitter’s reluctance to act upon Jones has earned it a significant share of scorn. This reached a fever pitch when it transpired that Jack Dorsey had interceded directly in order to prevent Twitter staffers from deleting Jones’ account.